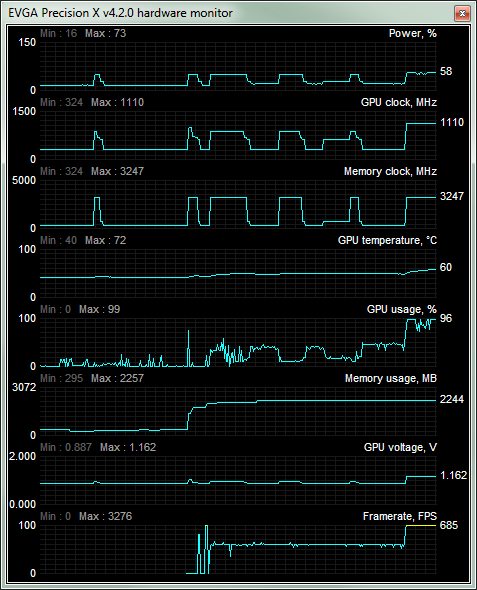 Just a quick simple tip for folks using Mari and noticed that your GPU fan is revving up non stop. If you’re not aware on what’s driving your GPU usage to the max when using Mari, read on. As for that seagull model, I didn’t model it but responsible for unwrapping it (in 3ds max) and texture it in Mari! So what should I look at? 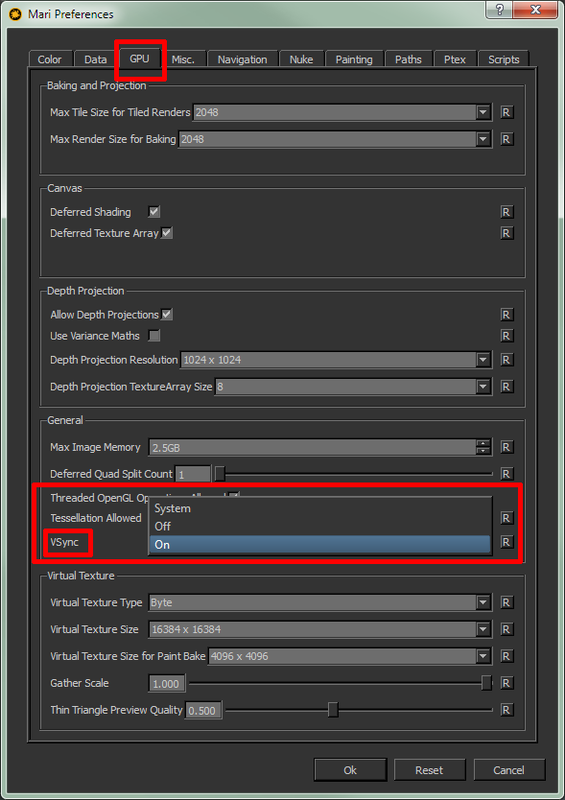 Do ensure that you enable V-Sync in the Preferences menu (located under the GPU tab). 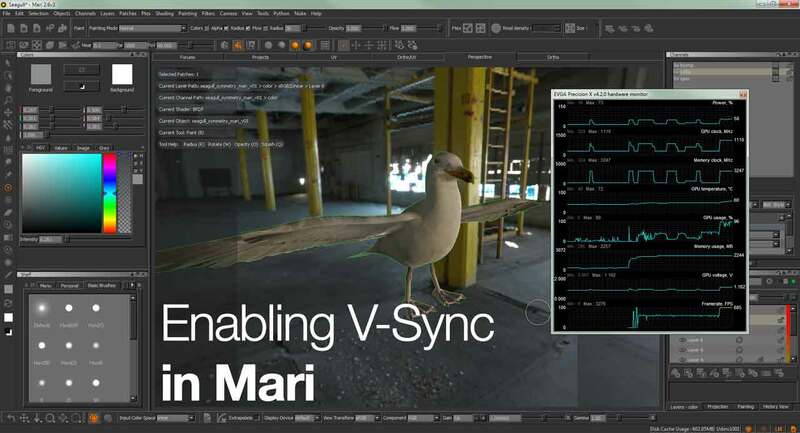 If possible, make sure you are enabling V-Sync in Mari by setting the value to On and not System. 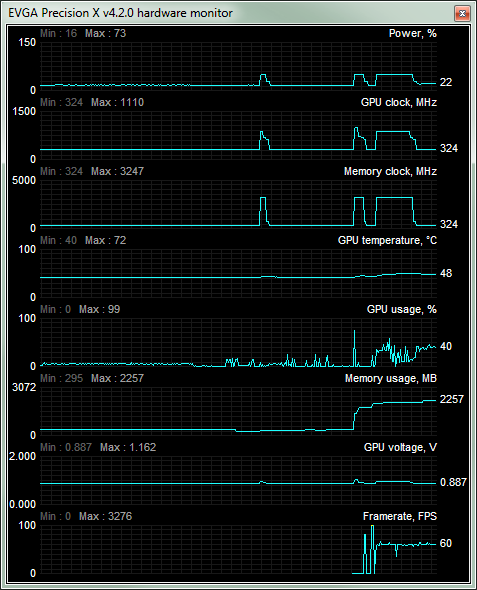 The following screenshot from EVGA Precision X hardware monitor shows what happened if you have V-Sync on. Noticed the FPS counter shoot up to 685! Same goes with the nearly max out GPU usage and the ever rising GPU temperature. Unless you have specific reason to disable V-Sync… I recommend enabling V-Sync to reduce the wear and tear of the GPU.